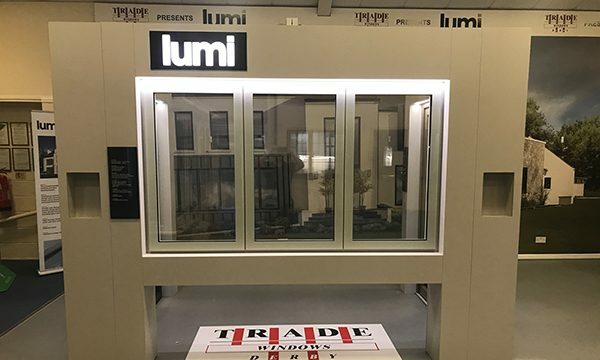 It was great news when a display Pod showcasing Apeer’s Lumi window and door system landed its first major order within a few weeks of going into a showroom – but the sale was just one of the benefits it was bringing, as the owners explained. “It immediately became the conversation piece of the whole showroom,” said Elizabeth Brighouse of retail installer Trade Windows Derby. “Lots of people just look at it and say ‘wow’. 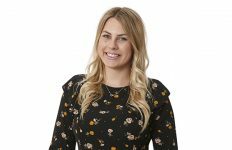 Apeer’s Neil Delanty says installer partners all around the UK are discovering the benefits of the company’s powerful marketing support for the Lumi system as well as its composite doors and other products. 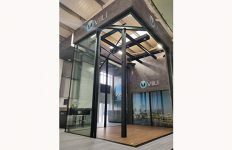 The Pod is styled directly after Apeer’s striking exhibition stand with the specific aim of targeting leads generated by the company’s schedule of lifestyle exhibitions around Britain and Ireland. “So many homeowners are knocked out by Lumi at consumer shows wherever we go,” Apeer Marketing Manager Linda Tomb added.